Address: Boulevard General Emile Lahoud, Hadat, Beirut. Close proximity to the Rafic Hariri International Airport, the Golf club, the Diplomats’ area of Baadba, major exhibition grounds and the bustling Downtown. 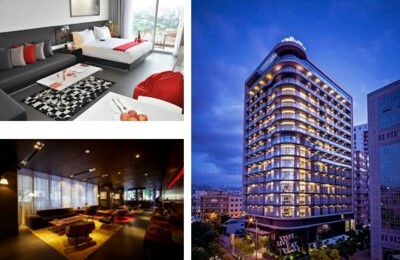 Walking distance to Beirut City Center and Galaxy Mall. Offer: Special price including breakfast for participant in EEETEM 2017 & CSCEET 2017. Participants benefit from a group transportation from the hotel to the Lebanese University and vice versa during the conferences days only, Also, there is a free bus from & to the Airport. 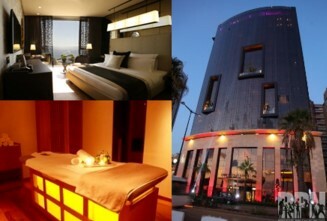 Address: The Smallville Hotel is located in the midst of the electric residential neighborhood of Badaro. Comprising of 117 spacious bedrooms, 39 suites and five day-lit meeting rooms, the Smallville offers you all the pleasures of a five-star stay. Not only so, but with its simplicity and elegance, this hotel is your gateway to the cultural and artistic beat of the city. It’s a place that builds cultural identity, a platform where artists from all walks of life can explore and display their creations. From the ground floor to the 16th, from indoors to outside, 24 hours a day, the Smallville has a superb range of enticing options for dining or drinks. These include a restaurant, lobby lounge, pavement café, stylish bar, garden space and rooftop, each with a mood of its own, and all available for hosting events, as are the hotel’s five meeting rooms and VIP suites. Leisure is taken care of by our Super Hero gym and the pool whose sweeping views of the capital and its racecourse are not to be missed. Offer: Competitive price including breakfast for participant in EEETEM 2017, CSCEET 2017 & E3PE 2017. Offer: Special price including breakfast for participant in EEETEM 2017, CSCEET 2017 & E3PE 2017. Available Shuttle bus from & to the Airport. Address: The Lancaster Plaza Beirut, stretches high overlooking the beautiful seacoast of Beirut city and is within walking distance of the renowned landmark, Raouche Pigeon rock and its entertaining surrounding. It’s 10 –minute drive from Beirut International Airport and Beirut central District and 5-minutes walking distance from Hamra street and Verdun shopping area. General De Gaulle Ave, Raouche, Beirut, Lebanon. – Free 15 minutes massage at our spa for each person. Offer: Special price including international buffet breakfast for participant in EEETEM 2017, CSCEET 2017 & E3PE 2017. Free Airport pickup and Drop Off, Free Internet Access. 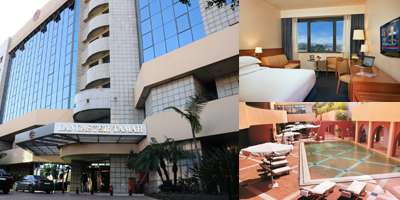 – The hotel offers its favored guests the advantage of residing a few steps away from the biggest shopping centers. With a simple elevator ride you can reach the Dunes Center, where guests have clothing shops, entertainment centers, and restaurants right at their fingertips. – For wider selections, a walk right across the street gives guests access to more than 250 prominent stores in the ABC Mall, one of the largest, newest, and most popular commercial centers in Lebanon. – In addition, you can find further international chains and restaurants scattered up and down the lavished, extravagant street of Verdun. 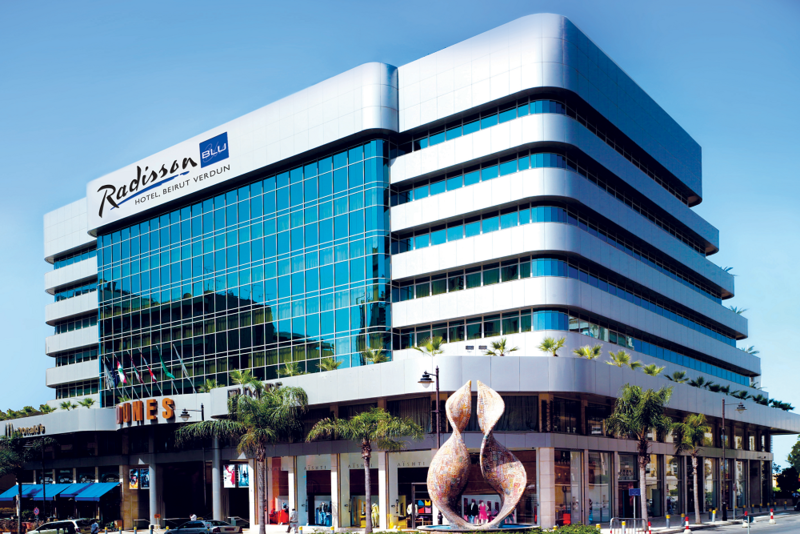 Over and above, cultural fascinations, beaches upon the coast of the Mediterranean, and more captivating venues and attractions are all short drives away from the central Radisson Blu Hotel, Beirut-Verdun. – After a day of exploring the miraculous city, relax in one of the 127 newly renovated, comfortable, and spacious rooms we provide, including free high-speed wireless internet, 24-hour room service, and the classic view of the busy city streets. – For on-site dining, delight your senses with the exquisite international cuisine at the Cook House Restaurant, and the Japanese and Chinese fusion at Shogun Lounge. – Classy and professional events ranging from weddings to corporate conferences can also be held at our premises within the 6 naturally lit meeting rooms we hold, granting access to up to 400 guests. 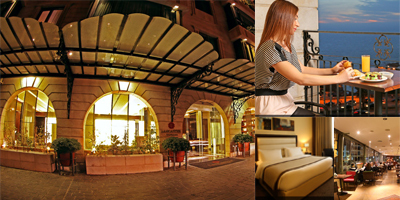 About the Hotel THE KEY is a Four Star Deluxe ApartHotel located in Beirut’s Museum District. The design is sleek and contemporary with bespoke furniture and artwork sourced from renowned international boutiques. Whether your stay with us is for business or leisure, our spacious luxury apartments offer you a genuine home-from-home feel. 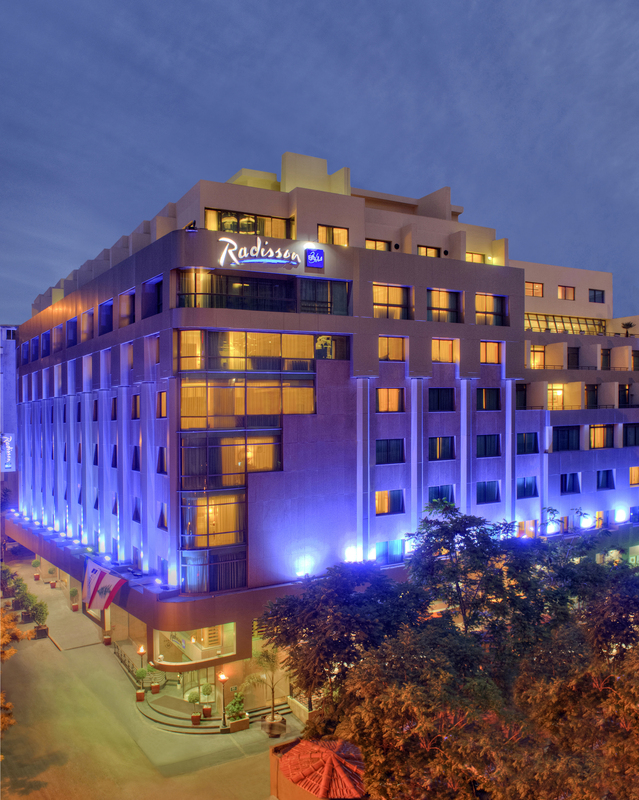 Our guests enjoy the convenience and dedicated service of a hotel with added flexibility to make the space their own. Our fully-furnished apartments are within close proximity to major attractions and an excellent array of shops, restaurants and bars. Address: The KEY is ten minutes away from Rafik Al-Hariri International Airport. About the Hotel The hotel is centrally located, with an easy access to/from the airport as well as major city attractions and offers 185 well-appointed rooms and suites. – Free enrollment in the Club Carlson program, a world full of rewards. – 24-hour free high speed internet in all hotel premises. – Free access to In Shape health Club with our indoor swimming pool, sauna and Jacuzzi. – Our brilliant new mobile app puts the world of Blu at your fingertips. Whenever. Wherever. 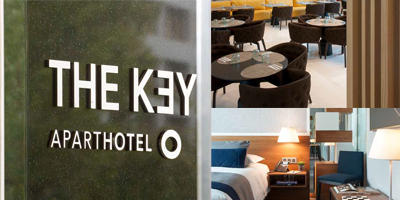 Get 24/7 access to a wide variety of hotel and local offers, services and information. Here, you can get a rough idea about hotels.